Minimum wage for a salary is for chumps. The maximum salary determines wealth. We spend time working hard for the money, while politicians kick this minimum wage football around as if it is the answer to raising the standards of living for middle class families. Truth is, the minimum wage never has nor will it be the generator of a better life for anyone. The minimum is a great place to start. Staying there is not a wise choice, so we have to increase our core fundamentals to become more valuable to the market and the companies that allow us to work. That is a key point. Companies allow us to work for them when they hire us and enter into a contract that states we will show up on time, deliver more than expected, and get raises. To understand why the minimum wage will never fix our finances, let’s look at the history. In 1961 the wage was increased to $1.15 an hour effective September 1961 and to $1.25 an hour in September 1963. That means the annual minimum salary was $2,373 at $1.15 and hour and way up to $2,580 in 1963. To put that in perspective, in 1961 the Average Cost of new house was $12,500.00, a new car $2,850.00, a gallon of gas 27 cents, and to bring home the bacon cost 67 cents per pound. Next, consider the Average Income per year $5,315.00; more than twice the minimum wage. Again, this is not the answer to raising the lifestyle for families across America. In more recent times, 2007 minimum wage of $5.85 has been raised to $7.25 per hour just two years later in 2009. In no way will this pull families up. The minimum wage is a starter salary to create opportunities to get a job, perfect a skill, and become valuable. The only way to do that is to master the core fundamentals required by all successful businesses. Minimum wage is great for interns where the major pay is in experience to increase your core values. Research conducted with top CEO’s and Business Owners revealed the top concerns of the leaders include developing dynamic core competences, focusing on and building human capital, effectively using new technology, engaging in valuable strategies and building new organization structures and culture. That research gave direction and shape to the new program to be based on four core fundamentals. The Secret Advantage, CORE fundamentals for success; Competency, Opportunity, Results, and Effectiveness. The result is over 21 hours of edited best principles. From there, the program is produced in 64 episodes of approximately 20 minutes each for easy listening and reference. In addition to the audio library, the program includes a half hour video documentary on the lives of Earl Nightingale and Lloyd Conant is included, along with six unedited Earl Nightingale Classic Videos. Trailer Video from Nightingale Conant. Our biggest Earl Nightingale program. The Secret Advantage, CORE Fundamentals to succeed in the 21st Century. 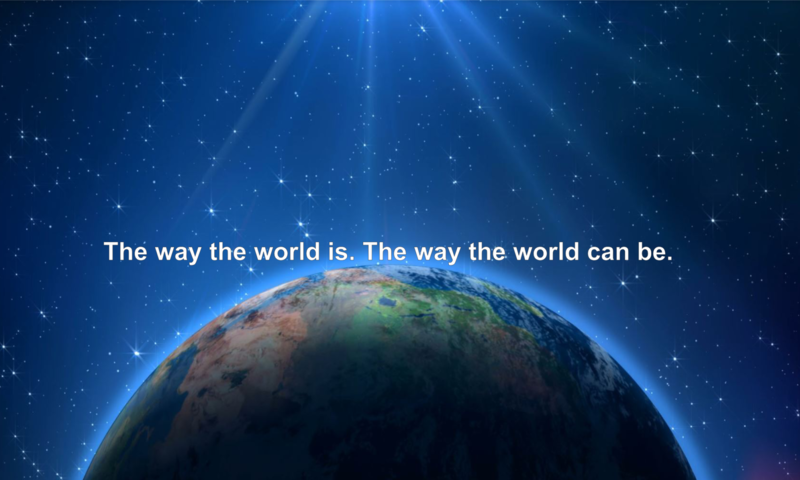 Choose the way the world is, or the way the world can be. Nightingale Conant will bring you one of the most important messages for the rest of your life. 2016 is the year of great expectations. Coming soon from Nightingale Conant. Be on guard for your secret advantage.